Bosch's thermal imaging cameras are designed to combine the benefits of thermal imaging with the well-proven Bosch IVA features. This offers early detection even with poor visibility or absolute darkness. Neither dense smoke nor bad weather conditions as heavy fog or snow affect visibility. With a VOT‑320 there is no need for natural or artificial lighting of the area of interest. MIC Series 612 PTZ, dual thermal/optical camera, PAL, Black, 36x optical zoom, 320x256 thermal picture elements, 8.3 Hz thermal imager frame rate, 35 mm thermal lens. MIC Series 612 Thermal. PTZ, dual thermal/optical camera, PAL, Grey, 36x optical zoom, 320x256 thermal picture elements, 8.3 Hz thermal imager frame rate, 35 mm thermal lens. PTZ, dual thermal/optical camera, PAL, White, 36x optical zoom, 320x256 thermal picture elements, 8.3 Hz thermal imager frame rate, 35 mm thermal lens. MIC Series 612 Thermal. PTZ, dual thermal/optical camera, PAL, Black, 36x optical zoom, 320x256 thermal picture elements, 25 Hz thermal imager frame rate, 35 mm thermal lens. MIC Series 612 Thermal. PTZ, dual thermal/optical camera, PAL, Grey, 36x optical zoom, 320x256 thermal picture elements, 25 Hz thermal imager frame rate, 35 mm thermal lens. MIC Series 612 Thermal. 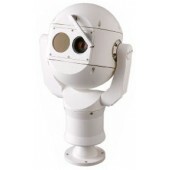 PTZ, dual thermal/optical camera, PAL, White, 36x optical zoom, 320x256 thermal picture elements, 25 Hz thermal imager frame rate, 35 mm thermal lens. 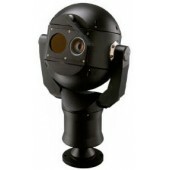 PTZ, dual thermal/optical camera, PAL, Black, 36x optical zoom, 640x512 thermal picture elements, 25 Hz thermal imager frame rate, 50 mm thermal lens. Thermal imaging IP camera. QVGA. 60 fps. 19 mm lens. 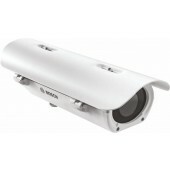 Thermal imaging IP camera. VGA. 9 fps. 35 mm lens. Thermal imaging IP camera. QVGA. 60 fps. 7.5 mm lens. Thermal imaging IP camera. VGA. 9 fps. 16.7 mm lens. 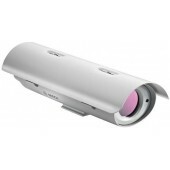 Thermal imaging IP camera. VGA. 9 fps. 9 mm lens. Thermal imaging IP camera. VGA. 30 fps. 35 mm lens.